ConceptDraw MINDMAP with the new Quality MindMap solution is a perfect addition to quality visualization in your company. 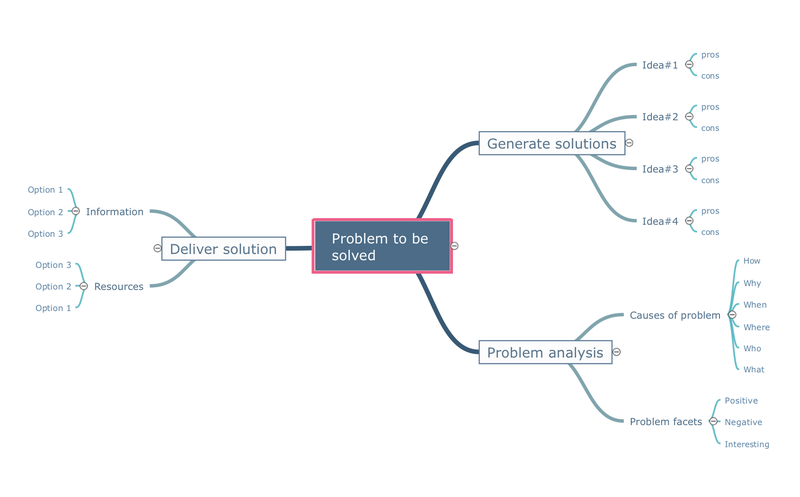 Once a quality problem is identified, mind maps can be of great value in depicting and describing a problem in detail, then structure it, and find the right decision. The visual form of mind maps is helpful in all stages of quality management, from describing problem to describing and documenting a decision. Pic.1 Mindmap template - Problem to be solved. Mind maps can be of great value in depicting and describing a problem in detail, then structure it, and find the right decision. The visual form of mind maps is helpful in all stages of quality management, from describing problem to describing and documenting a decision.